Victor W.C. Hsu was born in Taiwan and grew up in Mauritius, near South Africa. He studied at Yale University and received his M.Div. from Union Theological Seminary in New York City. 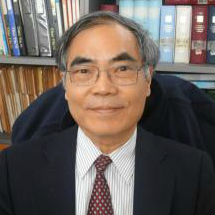 He served as National Director for North Korea for World Vision International till January 2010. Prior to joining WVI, he served as Senior Advisor to the CEO of Church World Service and as liaison to the White House, the Congressional leadership and the Office of the UN Secretary General. He was Director of the Asia/Pacific Department for the National Council of Churches USA from 1987 to 2000. From 1976 to 1987 Victor directed the United Nations program of the World Council of Churches representing the WCC on the board of the Conference of NGOs (CONGO) in Consultative Status with the UN and serving as CONGO’s Vice-President and First Vice-President. During this period, he helped provide access to NGOs to the UN working in constant contact with the Office of the Secretary General and the Presidents of the annual UN General Assembly sessions. An expert on contemporary international issues, his leadership and expertise are often sought by civil society organizations. He has been a board member of several advocacy organizations and chaired several international roundtables. He has written extensively and is frequently invited to be a keynoter on international relations, humanitarian aid, terrorism and issues related to the Asia/Pacific. He has provided confidential briefings to the leadership of U.S. Congress on both North Korea and religious freedom in China. He was an official observer to the Philippine Peace Talks and has been received by several heads of states and governments, and well-known diplomats around the world. He was instrumental in setting up the Food Aid Liaison Unit of the World Food Program in North Korea and was the first convener of the NGO Steering Committee. He was a board member of the USA PVOC-Consortium that monitored USA’s contribution to the WFP Program. He has met President Kim Il Sung and Chairman Kim Young Nam of the Supreme People’s Assembly. President Roh Moo Hyun received him at the Blue House. He met President Kim Dae Jung and is known to senior officials of the governments in both the South and the North. He has been visiting Korea since 1978.